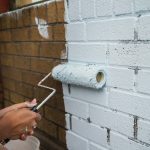 Home » What Makes A Good Paint Job? At New Approach Painting, we know the answer to the question, “What makes a good paint job?”, and we’re happy to share. Now, with that definition in mind, let’s break down a few tips that anyone can apply to achieve a quality paint job. Like any good tradesperson, a professional painter sees their craft as much more than just a laborious activity, but as a job they have passion for and take pride in. The trade of painting may not be perceived as “skilled” or as involved as other trades that require more formal training and certifications. However, the ability to achieve a superior paint job takes years of practice, a wide range of knowledge, and great aptitude. To truly achieve the breathtaking results of a quality paint job, one must embrace the skill of painting as work of craft and not a mere act of labour. A key aspect to achieving a good paint job is creating a smooth and uniform finish on any surface, whether it be drywall, plaster, wood, etc. It takes both time and care to prepare a room, area, or surface prior to painting — and this includes patching, caulking, filling any imperfections, and sanding. The application of paint must be properly performed with extreme attention to the coverage and distribution of the paint, and to avoid sloppy technique and drips. The ability to achieve perfectly straight cut lines is a nearly impossible feat, and it takes many years to come close to mastering. Nevertheless, having sharp colour lines is a crucial aspect of any good paint job. By taking the time to practice and perform cutting, and use tools like painter’s tape, you will be one step closer to achieving quality results. It is critical to ensure that you are applying your paint, or other related products, in a clean and consistent pattern. Making sure that only the surfaces you want painted actually get painted — and avoiding making a mess on floors, furniture, or any other undesired surface, is equally important. 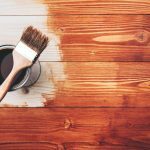 By using proper application and cleaning techniques, covering any floors or furniture with drop sheets and poly wrap, and not rushing, you can avoid an unprofessional paint job that masks the quality of the surface you painted. New Approach Painting always follows these practices to get the best results, every time. Contact our expert team today and see how we can help you achieve a quality paint job.